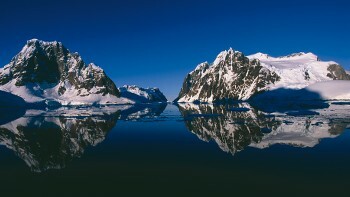 Antarctica is a spectacular wilderness that needs no introduction. 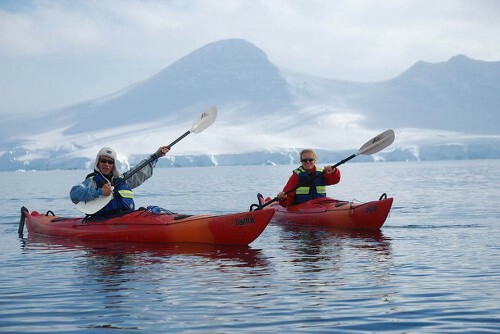 A voyage into this otherworldly environment puts you among breathtaking frozen landscapes, rugged icy coastlines and towering mountains, stunning coves and islands, abundant wildlife and the seemingly endless expanse of the continental ice sheet. 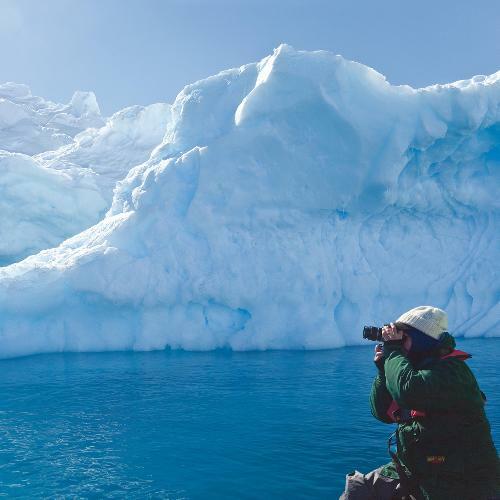 Marvel at the majestic frozen landscapes of Earth's most pristine wilderness; see whales, seals, penguins and other Antarctic species at play; and watch as enormous icebergs are spectacularly '"calved'" into the ocean. Snowshoe across the ice sheet; explore previously unclimbed peaks in the company of expert guides; and visit key scientific stations to learn about their critical research work. 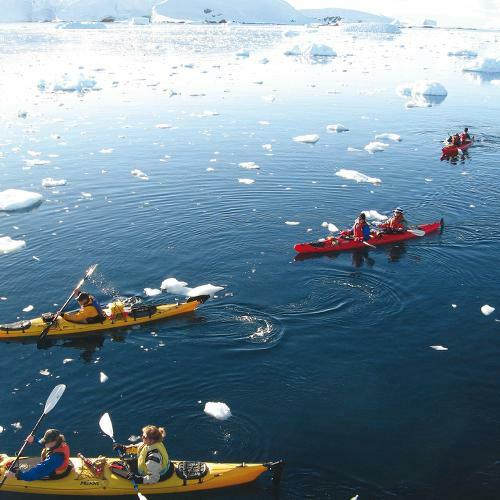 Practice your photography on dramatic icy landscapes and majestic wildlife; take the plunge with a kayak, snorkel or dive experience like no other; and enjoy a sunset cocktail on the deck of your vessel, complete with a chunk of Antarctic ice. Our range of Antarctic adventures travel lightly aboard small vessels with a core focus on sustainability and minimal environment impact. Your shipmates will be research scientists and wildlife experts, photographers and fellow travellers with a shared interest and respect for this frozen wilderness. Join us as we journey across the fabled Antarctic Circle into this spectacular wilderness- a mysterious and remarkable environment that has long-lured explorers and adventurers - for a once-in-a-lifetime experience that should be on everyone's bucket list! 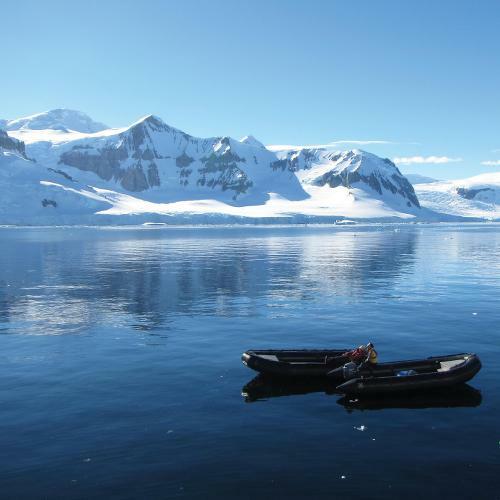 Kayak, camp or undertake a climb on an unnamed peak in Antarctica on one of our basecamp voyages. These trips ensure you make the most of your time on the white continent. Get up close and personal with Chinstrap, Gentoo and Adelhi penguins who breed in large colonies across the Antarctic Peninsula. 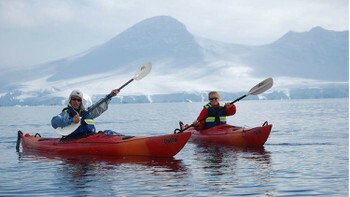 Attempt to cruise through the beautiful Lemaire Channel during the summer months. Flanked by steep cliffs the channel is just 1.6kms wide at it's narrowest point. 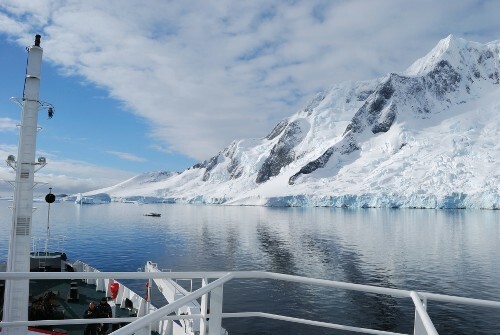 Marvel at the magnificent mountains, wildlife viewing opportunities and distinctive spiked icebergs as you sail through the Gerlache Strait. Get a glimpse of what life is like on one of the many research stations that operate year round on the continent. 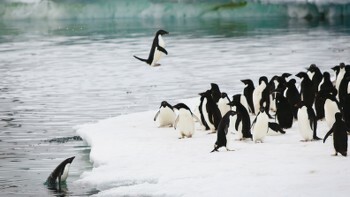 Visit the realm of the elusive Emperor Penguin. 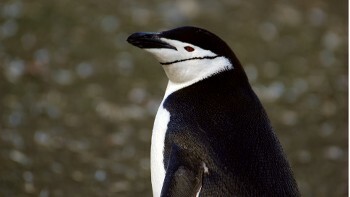 The largest of all the penguin species have a breeding colony at Snow Hill Island in the Weddell Sea. Visit the vast, remote and wildlife rich Ross Sea Ice Shelf. 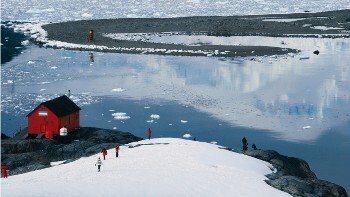 This area of Antarctica is experienced by only a small number of travellers each season. 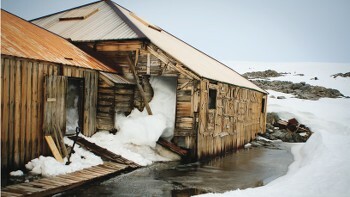 Follow the path of the early explorers into the Ross Sea and attempt to visit Mawson's Hut, Shackleton’s Hut and also Scott's Base. 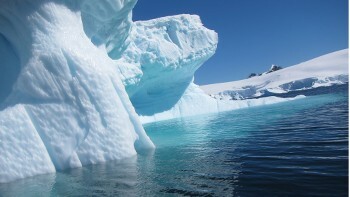 The climate in Antarctica is characterized by a long winter and a relatively short summer. We visit the Peninsula during the summer (November to March) when temperatures hover between –15 and +2 degrees Celsius during the day. Wind chill can cause this temperature to drop below –15 degrees Celsius. 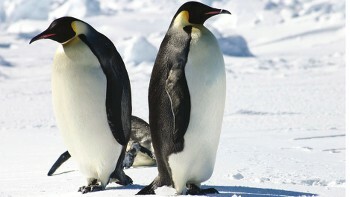 The Antarctic continent is considered to be the coldest desert in the world. Precipitation can occur during the summer on the Peninsula however it is unlikely to persist for longer than a few hours. There are numerous time zones across the Antarctic continent, however the Ukraine research station of Vernadsky which is located on the Antarctic Peninsula is -3 hours behind UTC/GMT. There is no official language for the Antarctic continent. Whilst visa's are not required to visit Antarctica many passport holders may require visa's for countries they transit en-route to the voyage. Please check with your reservations consultant or travel agent to determine if visa's are required for your journey.